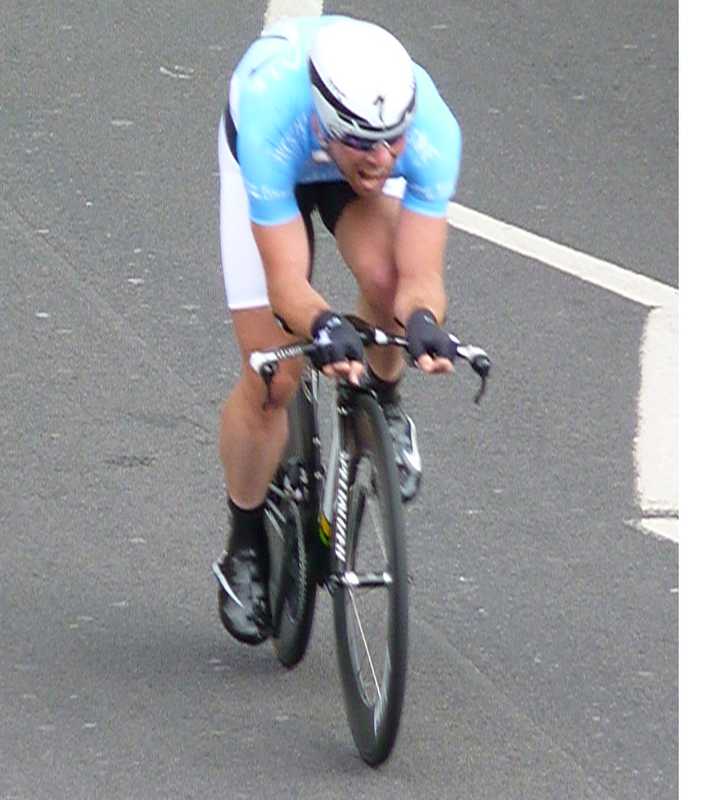 I wonder if Mark Cavendish screams his way through all Time Trials?. Ah-Layhoh-pard Trek-uh! Nope, you can't actually make that pronunciation any dafter. Decent of them to make the catch right where we were watching, eh? Not every Rabobank rider had a good day. Lars Boom riding to second on the stage and first overall. Lars Boom at the head of the chase. Geraint Thomas, pondering Welshcake recipes. Kristian House and Ronan McLaughlin led the race for nine laps, but never looked likely to stay away. I'd have an outside bet on Thor Hushovd to still be wearing that World Champs jersey this time next week, you know. Still reckon my cousin might have had him today, though. I bet they weren't cornering like that on their TT bikes. I stick my tongue out when I'm concentrating too. Geraint Thomas and Mark Cavendish coming into the final lap together. Won't be long until that's a regular occurrence. A tale of two Tours. Lots of straws to clutch at.